Starting with the vertiginous Sumela monastery on its cliff side eyrie and finishing with the 3000 year old Urartian citadel in Van, with the ancient Armenian city of Ani on the way. (A Great God is Ahuramazda, the greatest of Gods, who created this earth, who created the sky, who created man, who created happiness for man, who made Xerxes king, one king for all, one ruler for all. I am Xerxes, the Great King, the king of kings, king of all kinds of people with all kinds of origins, king of this earth great and wide, the son of king Darius, the Achaemenid. 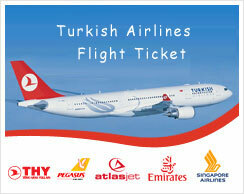 Fly to the Black Sea port city and meet with guide. We will start the tour with a visit the Hagia Sophia Museum and eat lunch at a local seafood restaurant, after lunch visit Trabzon Museum. Sightseeing in the city. Dinner and over night in Hopa. Morning in Uzungöl will start with a traditional breakfast of honey, jam, and local cheeses then we will drive to Erzurum. On the way to Erzurum we will visit Sumela Monastery which stands at the foot of a steep cliff facing the Alt?ndere valley in the region of Maçka in Trabzon Province, is popularly known as "Meryem Ana" (The Virgin Mary). The Monastery was founded in honour of the Virgin Mary. Arrive Erzurum We will visit the castle, Cifte Minarets (double minarets) and Grand Mosques and Yakutiye Medrese (old religious school). A drive to the northeast will bring us to Kars, where we will eat lunch and visit Kars Castle. In the afternoon we will visit the spectacular ruins of the medieval city Ani. Driving through the Igdir Plain we will stop at one of the quaint local villages for lunch. Arriving in the afternoon in Dogubeyazit, we will visit Ishak Pasha Palace. From the palace, there are beautiful views of Mount Ararat. Leaving Dogubeyazit, we will travel to the Muradiye Waterfall, break for a picnic lunch. Arrive in Van to explore the ancient citadel and watch the sunset over the lake. Explore the city of Van visiting bazaars and markets. Depart.